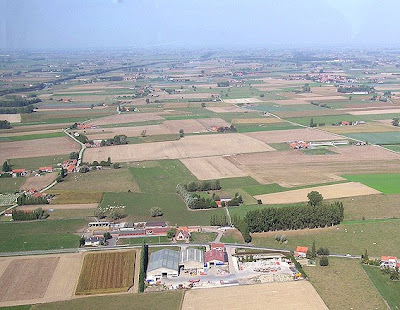 Aerial photograph by Mathieu de Meyer (A.W.A. - Association for World War Archaeology), from the preliminary archaeological survey of the A19 Project (2003). © Mathieu de Meyer. All rights reserved. Used with kind permission. Tauentzienstellung (the Tauentzien-line) run along the road to the left in the picture. 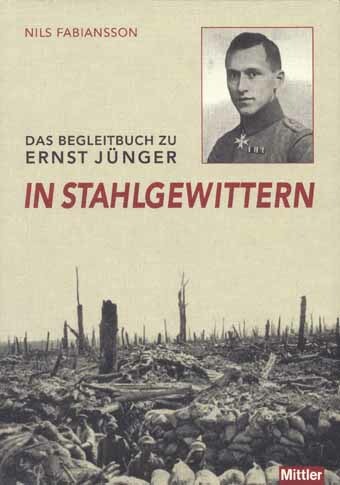 With the NGI/IGN 20/5-6 and 28/1-2 together with Das Begleitbuch zu Ernst Jünger 'In Stahlgewittern', it is possible to locate Dobschützwald ("Dobschütz Wood") with its former bunkers; the remains of the railroad embankment, and what was the "huge cratered field of desperate horror" (Storm of Steel, 2003 translation, p. 161), where Ernst Jünger and his men covered a night in a fortified house in the beginning of the Third Battle of Ypres 1917. Artilleriewald is out of the picture to the right.